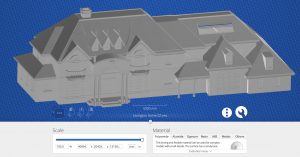 We've joined forces with German-based 3D comparison platform 3YOURMIND to help you make designs created in Vectorworks 2016 3D-printing ready. As if that isn’t enough, you’ll be happy to hear that the new plugin enabling this additive process is completely free of charge. For award-winning architecture and design team Peter and Sharon Exley, fun elevates the everyday. In fact, as founders of the Chicago-based firm Architecture Is Fun, this husband and wife have crafted their professional ambitions toward making meaningful, interactive places and spaces for families. One of their first clients was the internationally renowned Chicago Children’s Museum; other children’s museums, exhibits, and adult cultural spaces soon followed. While many of our stories feature events from around the world, we’re excited to share some news from our own backyard. Last Thursday, we attended the ribbon-cutting ceremony for a new Innovation + Prototyping Lab at the Maryland Center for Entrepreneurship (MCE) in Columbia, Maryland. The lab is part of 3D Maryland, an initiative of the Howard County Economic Development Authority (HCEDA) that we’re supporting to increase engagement with 3D printing and additive manufacturing.